KIPS BAY, Manhattan -- Police are searching for a man suspected of viciously attacking a woman in Manhattan. 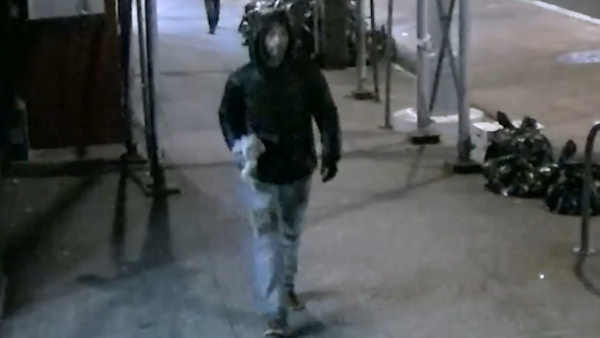 According to the NYPD, the 37-year-old victim was walking along 2nd Avenue in Manhattan when the attacker suddenly approached her from behind and hit her in the head with an unknown object. He pulled on the victim's bag, causing her to fall to the ground. While on the ground police say the suspect repeatedly hit the victim in the head with the unknown object. He fled the scene in an unknown direction emptyhanded, and the victim went to the hospital. The suspect is described as a male, light complexion, 5'9", 30-years of age, scruffy beard, last seen wearing a black coat, blue ripped jeans and dark shoes.